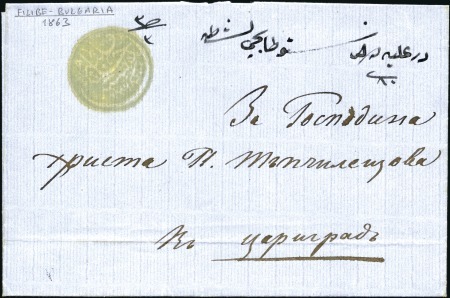 Plovdiv-Filibe : 1863 Cover with very fine strike of all Arabic negative (Crescent type) “Postahane-i Filibe 1278” seal in green ink (Coles & Walker fig. 17). 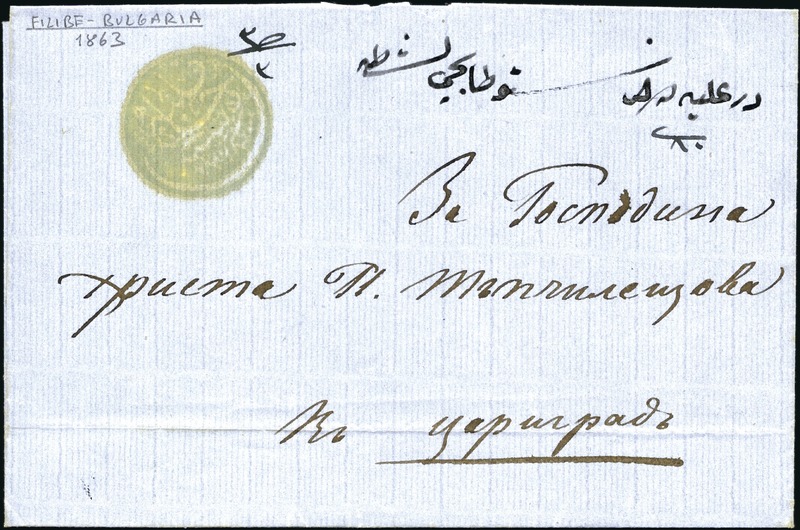 Weight 3 Dirhem / rate 3 piastres in manuscript at top. Rare.